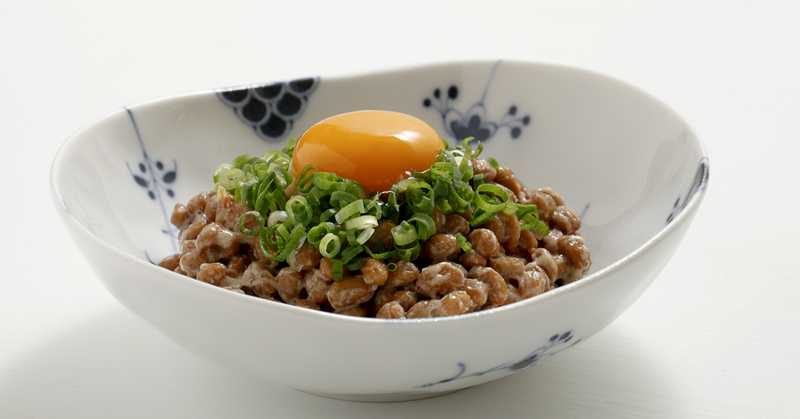 In 1987, the journal Experientia published an article announcing that "A strong fibrinolytic activity was demonstrated in the vegetable cheese Natto, which is a typical soybean food eaten in Japan. This novel fibrinolytic and proteolytic enzyme, named nattokinase, was easily extracted with saline. "1 Fibrinolytic agents are capable of stimulating the dissolution of a blood clot. Nattokinase has been available to the public since 1998. In 1990, the research group that reported nattokinase's discovery revealed that nattokinase administered orally to dogs enhanced the ability of blood plasma to break down fibrin, a protein formed by the action of thrombin on fibrinogen that is involved in blood clotting.2 This fibrinolytic action can help prevent blood clots from growing and becoming dangerous. When researchers induced blood clots in the common carotid artery of rats, recovery of arterial blood flow in nattokinase-treated animals was more than three times greater than that associated with the administration of plasmin, which is produced by the body to dissolve fibrin blood clots.3 In another rat study, supplementation with nattokinase three weeks before and after endothelial injury to the femoral artery resulted in greater suppression of intimal thickening and dissolution of blood clots near the site of injury in comparison with control animals that did not receive the supplement.4 Yet another rat study found a dose-dependent delay in induced arterial occlusion associated with nattokinase.5 Nattokinase at a high dose was determined to completely prevent the occlusion, similar to the ability of aspirin. Recent experimental evidence suggests that nattokinase might be useful in the treatment of Alzheimer's disease6. Rats were given aluminum chloride for 45 days, which increased the activity of brain acetylcholinesterase (an enzyme that breaks down the neurotransmitter acetylcholine) and induced other negative changes, including neuronal degeneration in the hippocampus and amyloid plaque formation. However, oral administration of nattokinase or another proteolytic enzyme known as serrapeptase reduced these findings, which suggests the need for further research concerning their potential use in Alzheimer's disease patients. A trial that included healthy participants, subjects with cardiovascular risk factors, and subjects receiving dialysis who were given nattokinase daily orally for two months, resulted in a reduction in fibrinogen and blood-clotting factors without any notable adverse events in any of the subjects.10 "[…[ this study showed that oral administration of nattokinase could be considered as a cardiovascular disease nutraceutical by decreasing plasma levels of fibrinogen, factor VII, and factor VIII," authors Chien-Hsun Hsia and colleagues conclude. This is important because factor VII and VIII are proteins that causes blood to clot in the coagulation cascade. So there you have it. While there is preliminary evidence of a nattokinase-associated benefit in hypertension and Alzheimer's disease, the evidence is significant in favor of its ability to help prevent troublesome blood clots. Further research will provide more information concerning the benefits of this emerging nutraceutical. Sumi H et al. Experientia. 1987 Oct 15;43(10):1110-1. Sumi H et al. Acta Haematol. 1990;84(3):139-43. Fujita M et al. Biol Pharm Bull. 1995 Oct;18(10):1387-91. Suzuki Y et al. Life Sci. 2003 Jul 25;73(10):1289-98. Jang JY et al. Lab Anim Res. 2013 Dec;29(4):221-5. Fadl NN et al. Hum Exp Toxicol. 2013 Jul;32(7):721-35. Cesarone MR et al. Angiology. 2003 Sep-Oct;54(5):531-9. Ero MP et al. Altern Ther Health Med. 2013 May-Jun;19(3):16-9. Kurosawa Y et al. Sci Rep. 2015 Jun 25;5:11601. Hsia CH et al. Nutr Res. 2009 Mar;29(3):190-6. Kim JY et al. Hypertens Res. 2008 Aug;31(8):1583-8.